Winter hasn't sunk in yet and I'm still hanging out in April! It has been sooooo absolutely cold that I haven't yet managed to catch the devastation that's happening in my garden. 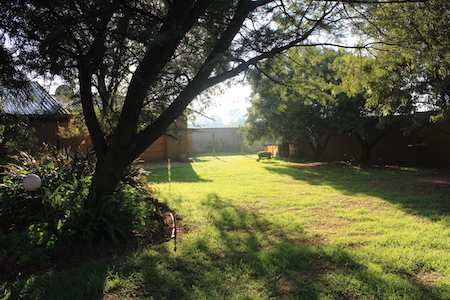 I'll get around to that this week, but in the meantime, let's still bask in the sunshine and greenery of Autumn! 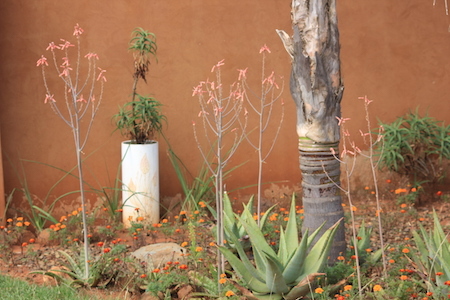 Autumn (and the month of April) is when many of my Aloes start flowering. 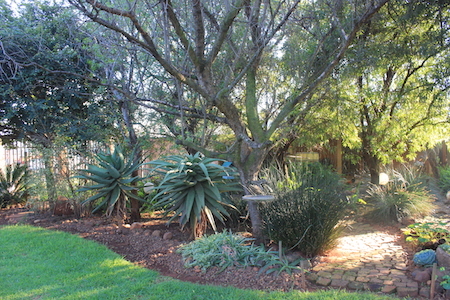 The Aloe ferox (the larger Aloes) will start a bit later, roundabouts May/June, but the aloe zebrina (with the long stalks), are already in full flower, above and below. 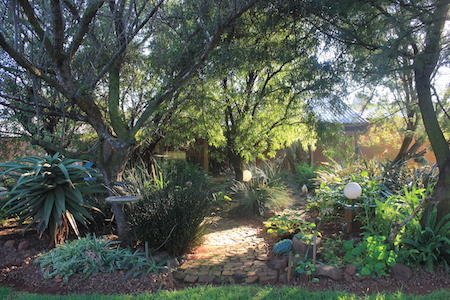 Walking through the garden just after sunrise is still a pleasure with the sun shining brightly through all the plants. But soon most of those Nasturtiums will be gone and the Sword Ferns will be withered and dead. 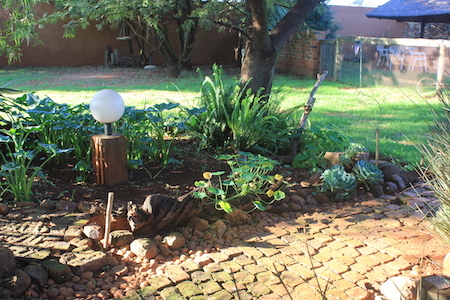 But the hardy back-bones of the garden like the Phormiums, Restios, Aloes, Arums, big trees and succulents normally escape unscathed, leaving something to tend to. 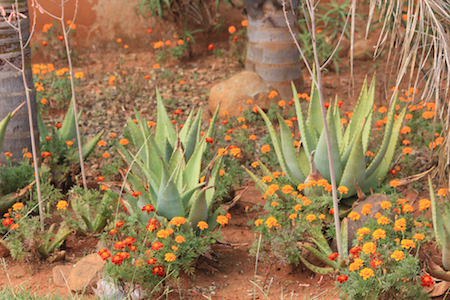 I'm looking forward to when the Aloe ferox start flowering; if they're not caught by a bad frost in the early-flowering stage, they will provide splashes of orange to brighten up all the greenery.